***Please note item is not sold out! Item is on sale for A Musical Salute 2019. Congratulating the honorees and/or Encompass with an ad of this size entitles you to priority seating for the Gala musical performance when you also buy tickets to the Gala. Reservation Deadline for ad placement by March 12, 2019. Artwork must be received by March 19 for printing deadline (Earlier submissions are preferred). Camera-ready artwork can occupy the entire ad space as listed above. Please provide black and white layout at 100% size of program ad requested. Microsoft Word, Photoshop, JPEG, and PDF files are all acceptable. Digital files must have in-position, high resolution photographic images and/or vector based line art. All art should be 300 dpi. Encompass Theatre Company, Inc. is incorporated as a 501(c)(3) not-for-profit company. All Program Book ads and donations are tax-deductible to the full extent allowed by law. 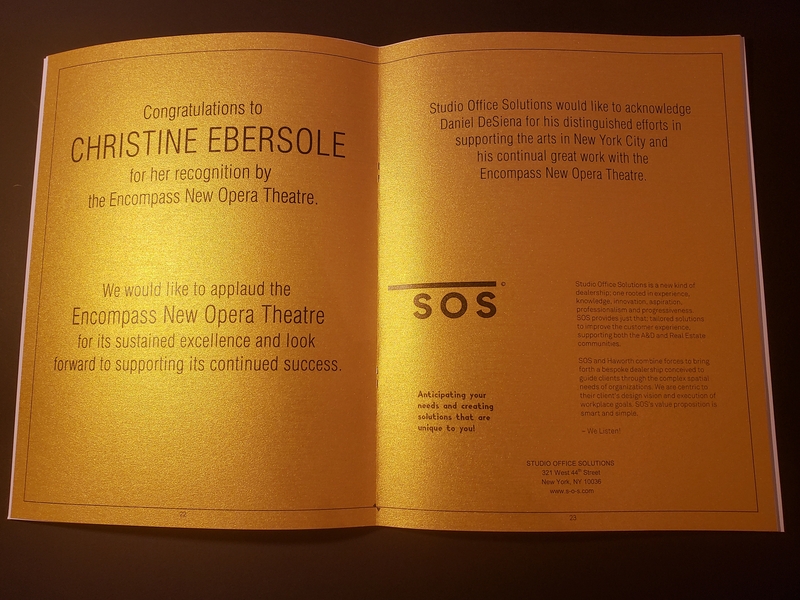 Congratulating the honorees and/or Encompass with an ad of this size entitles you to priority seating for the Gala musical performance when you also buy tickets to the Gala.